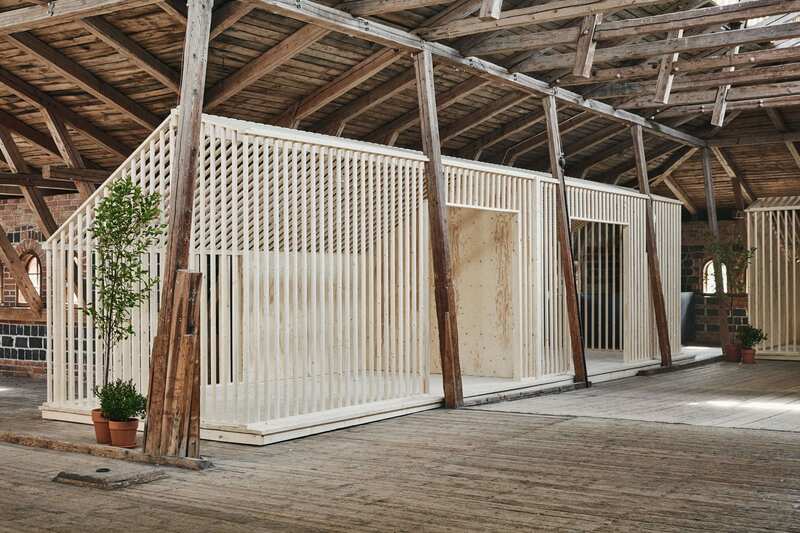 Open during the European summer months, Fiskars Summer House has unveiled an exhibition showcasing the work of nine prominent Finnish designers and their interpretations of an artist’s summer house. 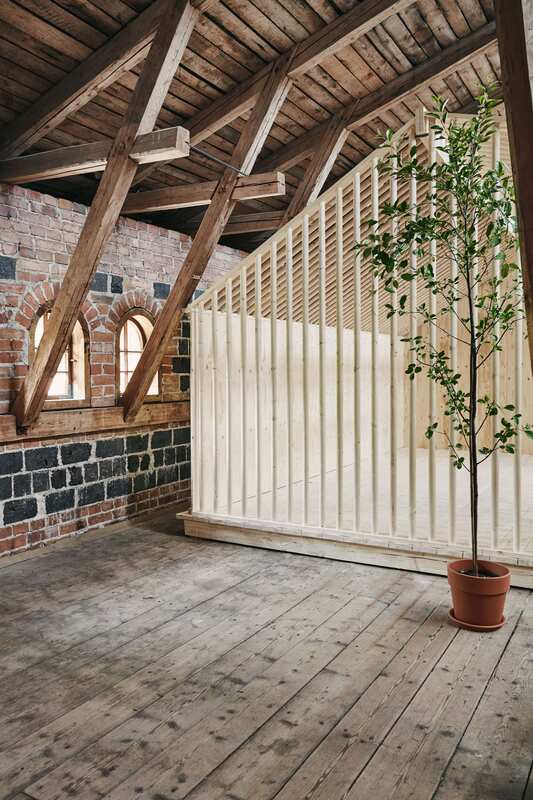 Set in the Granary building in Fiskars Village, a popular local tourist destination in summer, the architecture of the sublime timber exhibition was designed by Studio Joanna Laajisto, who are no strangers to our pages. 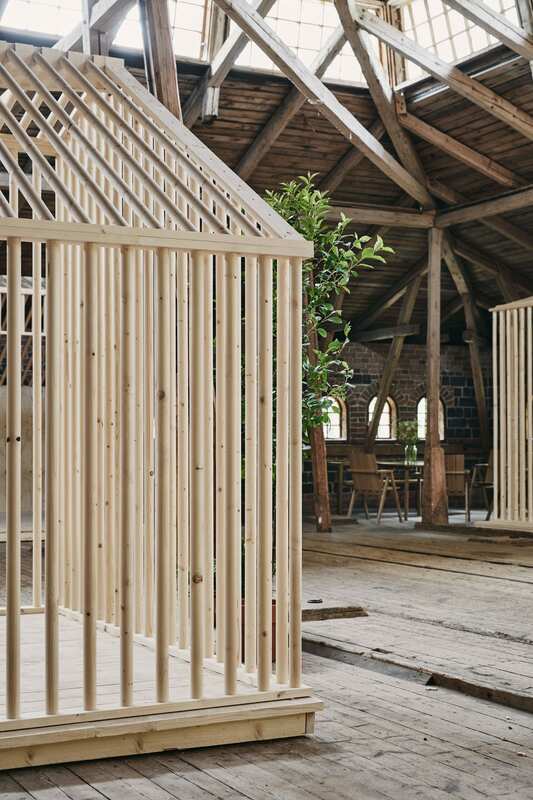 Helsinki-based Laajisto and her team are behind a whole bunch of beautiful interiors, from retail, hospitality and workplace, as well as product and concept designs. 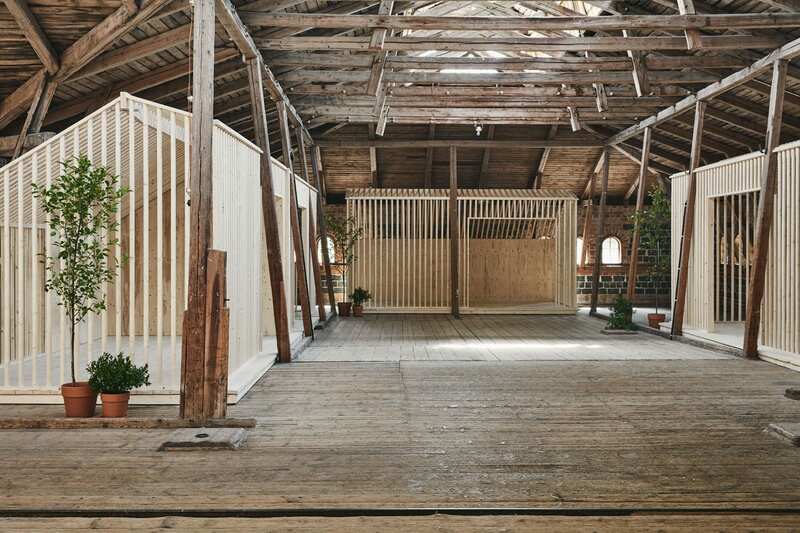 In fact, the very first project of theirs we’ve ever featured was a dreamy installation dubbed ‘Dining By Still Water’ designed for Helsinki Design Week in 2013, which was somewhat similar in nature to what I’m sharing here with you today. 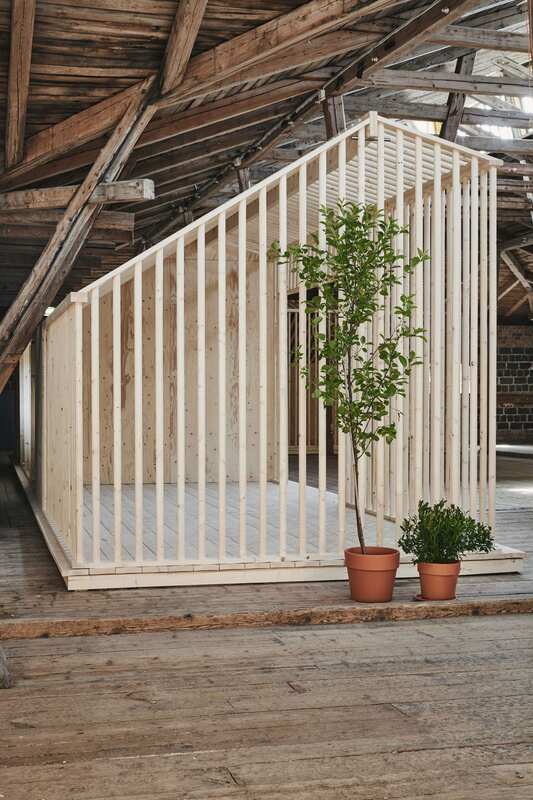 Related: ‘Dining by Still Water’ by Joanna Laajisto for Helsinki Design Week. 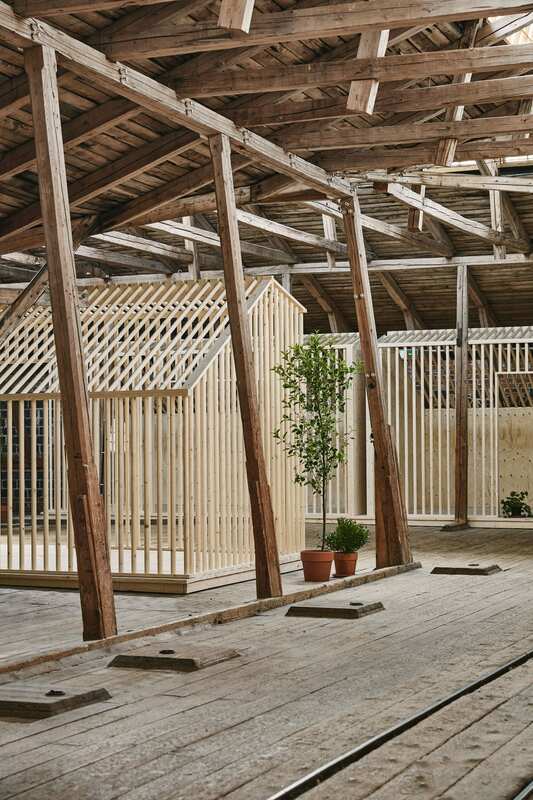 The idea was to present the views of nine designers on how the artists’ summer houses would look like to them. 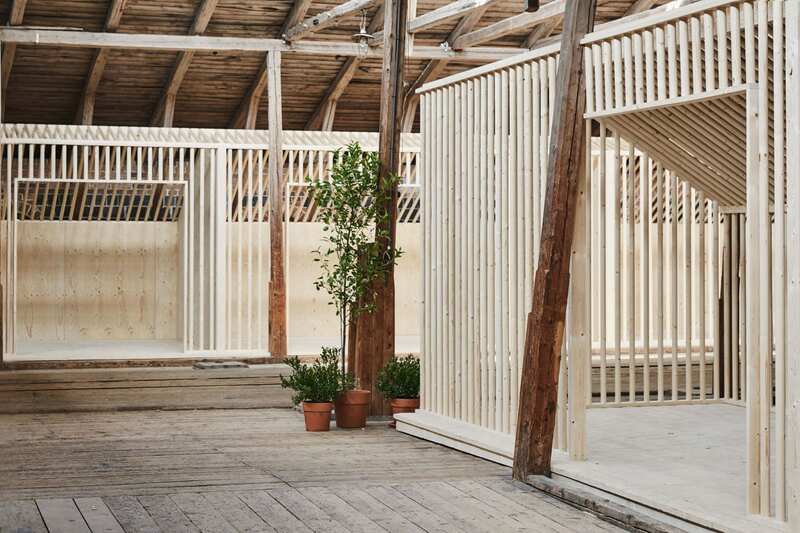 Laajisto divided the exhibition into different functions of a summer house, from a living room, a bedroom to a sauna, with each designer given the task of realising the spaces appointed to them. 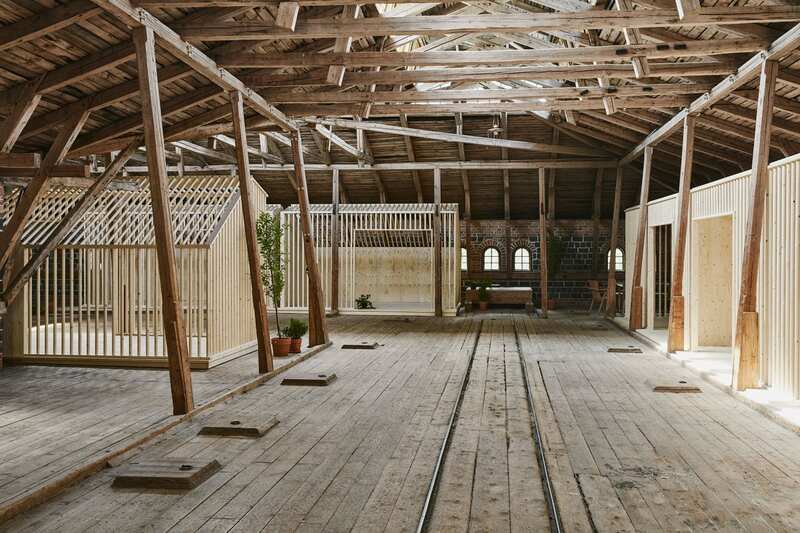 Each ‘room’ was constructed as a freestanding ‘house’ made of timber dowels and boards, designed to sit seamlessly within the rustic interior of the heritage building. 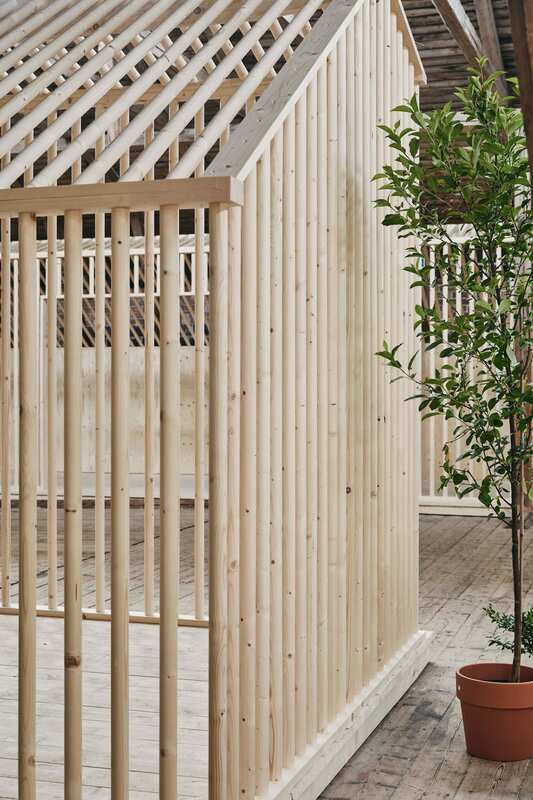 And although we are not necessarily focusing on the interior of each ‘room’ here today, each space features furniture, products and finishes by established and emerging Finnish designers and brands, with all items in the exhibition available for sale. If you’re so inclined, more information about the project can be found here. See more projects by Joanna Laajisto on Yellowtrace.